ZeroTwentythree: ...And I Feel Fine! 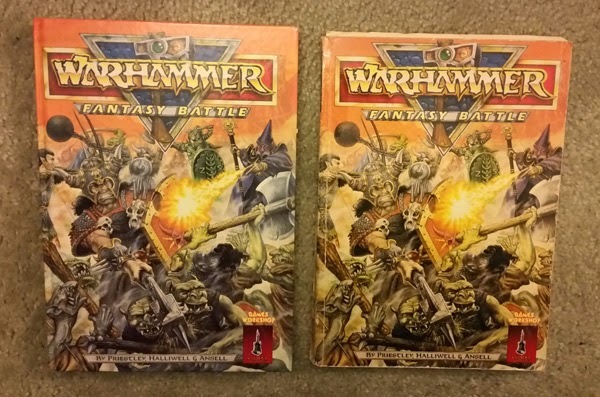 I haven't played Warhammer Fantasy (or Ancients) in years, but I have been following this End Times thing with a sort of morbid curiosity. Most of my info is second hand summaries, or bits of leaked scans, excerpts, etc. From what I can tell, it's all pretty awful. From any angle -- gaming, setting, fiction writing, etc. However, I can't deny a bit of nostalgia. I still like the basic premiss of the setting, and I did play various versions of the game(s) for a good 30 years. So why should I feel fine about the end of the (Warhammer) world? Because it ceased to matter to me a long time ago. Or at least what GW did with it ceased to matter. It was a good setting when it was skeletal, but the more it got fleshed out, the less it was a mystery, the less it was an empty home for hobbyists to furnish. I think the popularity of the game was as big a factor as anything. Players increasingly demanded more storyline, more fiction, more "support" (which, as far as I can tell, is just Newspeak for "sell more stuff.") The games -- both the rules and the way in which games were played -- became more competitive, more stagnant, fixated on formulas, and list-writing, and tournaments. And "meta." God, I cringe every time I hear or read the term "meta" applied to gaming. Makes me feel like vomiting all over the speaker/writer. I think that the End of Imagination was as much a blow to the Warhammer as the End Times. More so, as the End Times mean little for those who have still got a bit of Imagination left. The games are still there, as are other rules, and the entire concept of creating your own settings, your own campaigns, and not being so uptight about how you & your friends push little toy soldiers around on a make-believe battlefield. I doubt I will be playing 3rd ed. (or any WFB) anytime soon, but it's nice to have back on the shelf as I'm trying to "reconnect" with the hobby in some sort of way. I couldn't have put it better. I can't even equate what they call Warhammer today to that which I know as Warhammer. Kind of think of it I may from here on out refuse to call it Oldhammer, its Warhammer. It’s this Newhammer that deserves its own name, but it doesn't matter since its now apparently dead anyways.